OFM Inc's Mesa series utility table with doors is constructed of 14 gauge steel for strength with a durable scratchresistant powder coat paint finish. 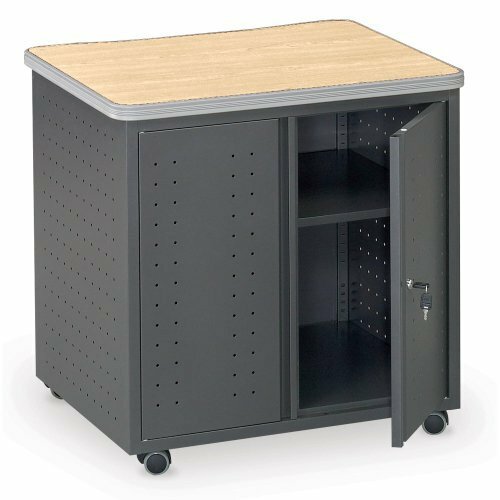 This cabinet is perfect for any school, office, or work environment.Table features 7mm edge banding that helps protect it from scuffs and a builtin shelf that allows you to store your files and papers within easy reach. The dual locking doors allow an additional measure of security for your sensitive files and equipment. Casters are included so you can roll it into place as needed. Shelf is adjustable.Partial assembly required, just attach top and clip shelves in place.